Bermuda Heroes Weekend [BHW] will be launching their 2019 edition with a 3-day affair set to be held from Friday, January 18 to Sunday, January 20. A spokesperson said, “Mark your calendars ladies and gents, because when January hits, BHW Ltd. will be launching the 2019 edition of the Fastest Growing Carnival in The World. Time will then become your most precious commodity. Since you will need it to prepare for our titillating list of events, and then need it again, to recover while you moan and wish for the festival to come quicker than ever! “This Official Launch will be a 3-day affair from January 18th to 20th. We can promise that delightful tidbits shall be revealed, and informative sessions held in order to broaden your perspective on everything this jubilant season has been, currently is, and will grow into becoming. “To start things off, we have the hour all workers look forward to and long for during the week. Friday Happy Hour! This one, however, will definitely go longer than an hour, and will include drink specials, dynamic DJs spinning spine-twisting songs, along with a few surprises that will kick off this fun-filled weekend. “Our guest speaker will give an insider’s perspective on the pillars of the Bermuda Heroes Weekend Carnival as well as the varied aspects needed to maintain and ensure the future growth of this phenomenal celebration. Participants can then mingle in their dazzling attire and get to know the full BHW Ltd. team along with other major contributors. “We will then close out this launch on Sunday, with a mesmerizing showcase of the glittering costumes, which are just waiting to adorn your dancing bodies when you become the main part of the Great Parade. “On display will be ensembles from the ever-popular Party People, winners of Band of the Year in 2018, along with the always-thrilling Code Red, winners from 2017, and of course crowd favourites Nova Mas International, who won the title in 2016. You should expect a radiant exhibition, which will astound your senses. “Are you excited as yet? Because BHW Ltd. is! Especially as we get to meet and greet, you, the people who truly make this vibrant season the success it is. Until then, clear those calendars and start purchasing tickets. 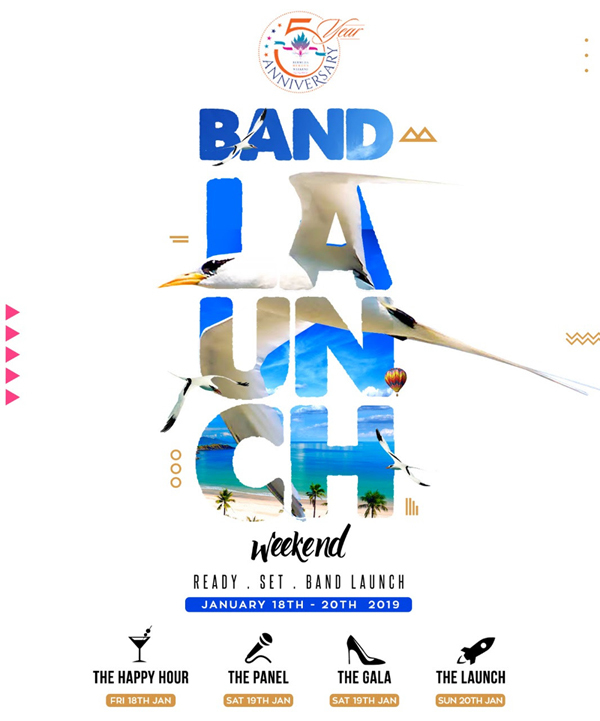 “Quicker than you realize, January and BHW Ltd.’s Official Bermuda Heroes Weekend 2019 Launch will be here and this lineup is one you absolutely cannot miss.